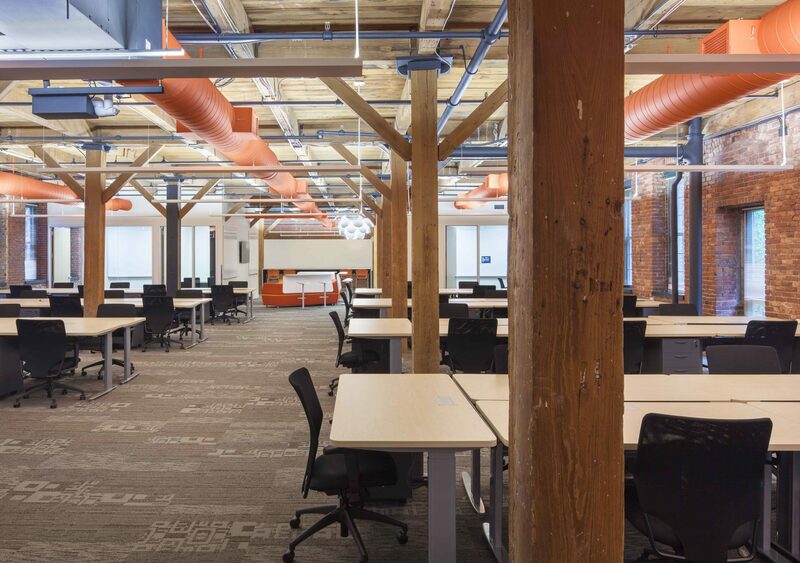 Chapman has completed multiple expansions to their 100,000 sf headquarters in Cambridge’s historic, brick-and-beam Davenport Building. 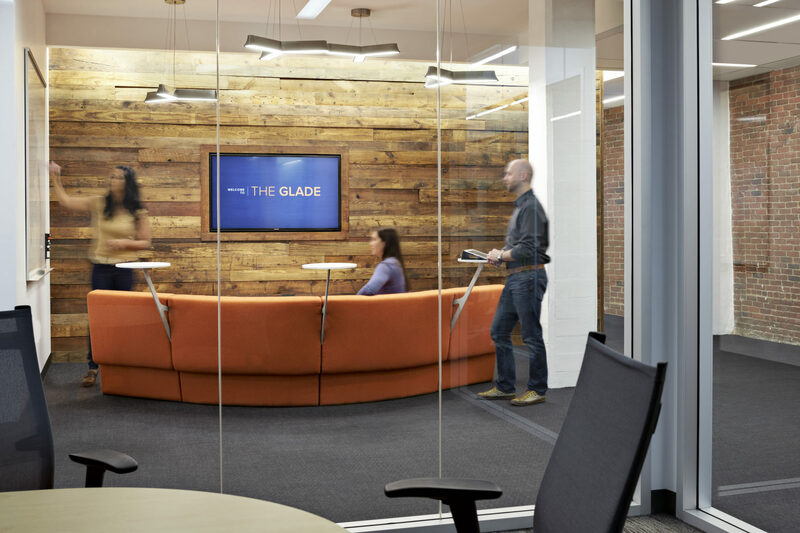 This contemporary workplace includes open office areas, conference rooms, and collaboration spaces. 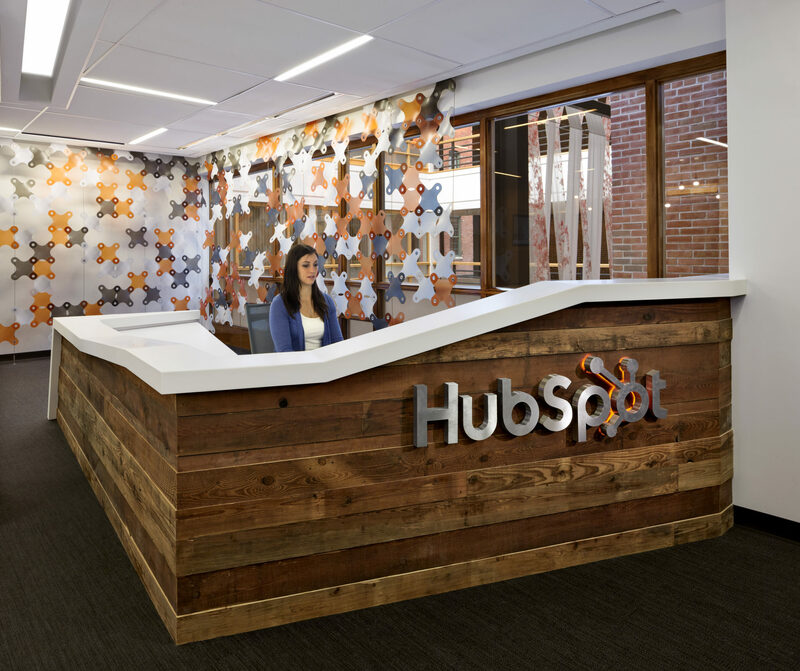 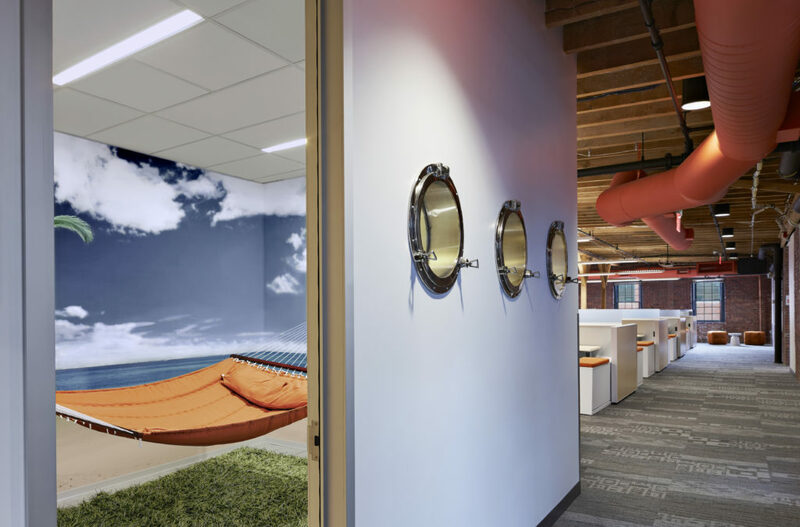 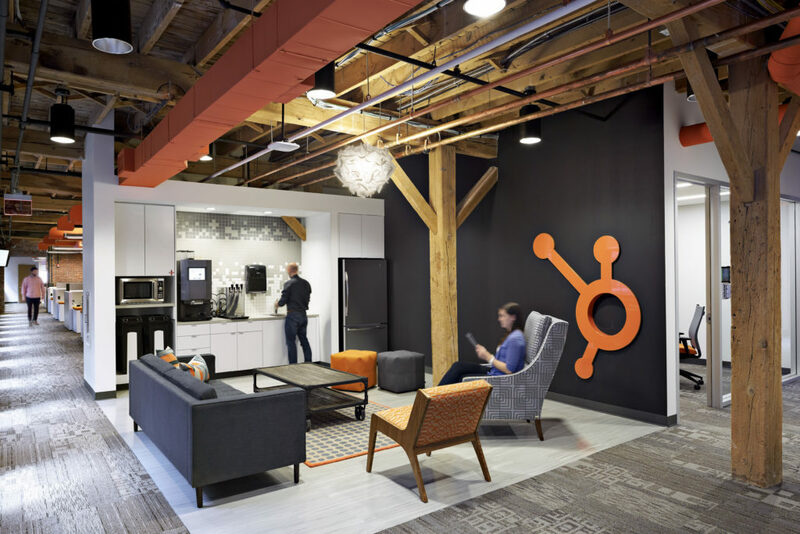 To attract top talent, HubSpot has added many amenities for their employees including a kitchen with custom café booths and beer taps, a tropical nap room, and themed break-out spaces. 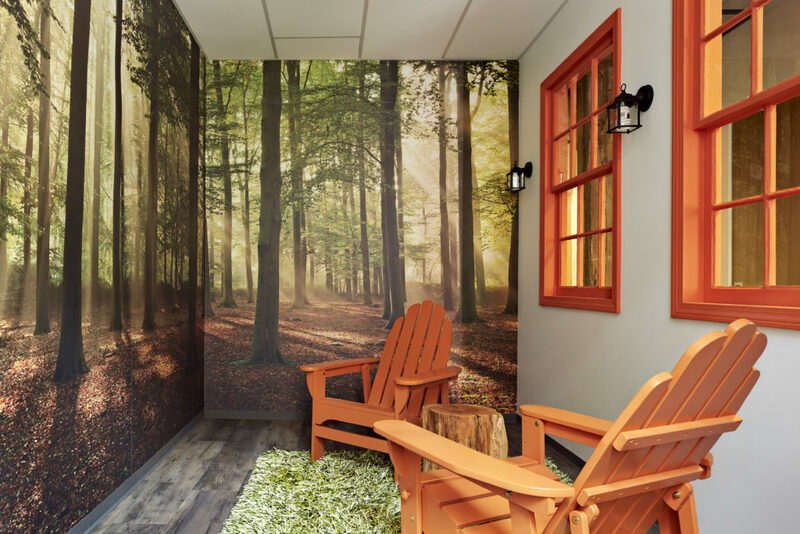 The HVAC systems were upgraded to include energy-efficient equipment incorporating energy recovery units to provide fresh air and improve indoor air quality for employees. 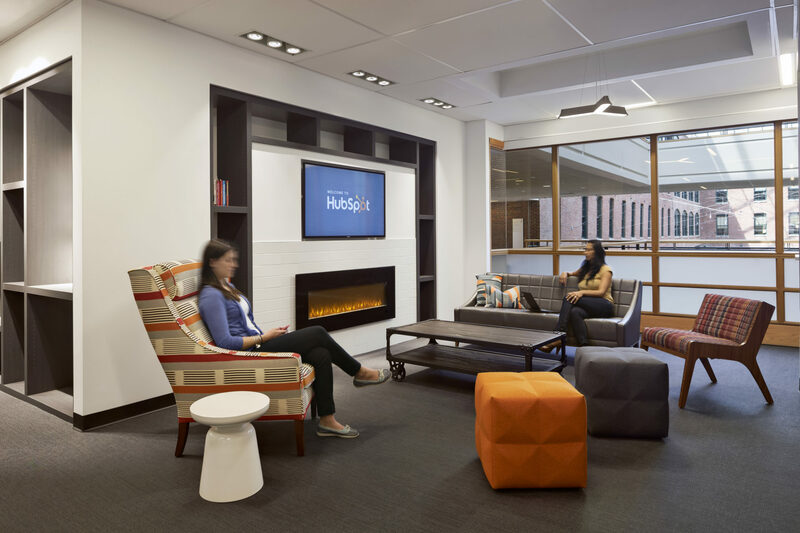 To reduce electrical consumption, a lighting control system and LED lights were installed, and indirect lighting was used to provide uniform lighting and reduce glare on employee workspaces.